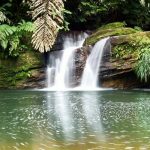 If you’re looking for the best places to travel and spend some quality time for leisure and relaxation, then Panama is one perfect destination spot that you should add to your itinerary. This country is currently deemed as the gem of Central America as it has a booming economy that can be quite a challenge for other third world countries. Breathtaking scenery and enjoyable outdoor activities coupled with lower-cost of living definitely make this country one of the best places to travel to in the world. Avail a Panama tour and travel to Panama City first. 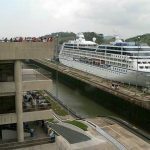 Visit the country’s famous Panama Canal at Miraflores where most of the trade and shipping activities in the country are done. 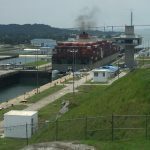 The Panama Canal is one reason why travelling to Panama is truly worthwhile. This famous canal is the backbone of Panama and has always been significant to the country’s economic growth. It is one landmark of the world that you should definitely explore. You can also visit the Atlantic side and view the new larger locks at Alta Clara near Colón. While you’re in Panama, take the opportunity to meet and greet the many American expats who have already made the move to Panama. You can take a Panama relocation tour for instance, so you get firsthand information on what it’s like to live in Panama. Or you can choose to explore on your own by rental car or public transportation. Meeting the expats is another reason why Panama is worth seeing as they can give you a lot of insights about retirement and travel planning. 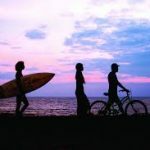 Through these people, you will discover that Panama is more than just a place for vacation, but also the retirement haven of many American and European expats. Another reason that makes Panama definitely worth visiting is so you can discover the low-cost of living in this country. Depending on where you go and food, clothing and other basic needs are all priced reasonably lower than North America or Europe; thus, your vacation expenses will be very low. Healthcare is likewise lower at amazingly high standards. The Hospital Punta Pacifica, for one, is a common destination of medical tourists. Many people go to Panama for inexpensive medical procedures that are comparable to medical treatments in the US, Canada and the UK. You can try getting a doctor’s consultation for as low as $3-$10 while you’re in Panama. Another reason why Panama is one of the best places to travel to is because the country has so much to offer in terms of culture, nature and its people. The Panamanians are warm and gracious as you meet them while visiting old museums and historic buildings and towns. Those who love nature are also in for a treat as the country has a tropical rainforest that’s well-preserved. You can go on a hike along a nature trail, climb a mountain, do zip lining, swim and surf at the beach or ride a horse. There are plenty of things to do to satisfy that quench for adventure and enjoy nature at its finest. Panama has become the second home of many Americans and Europeans. More than 20,000 to 30,000 expats from all over the world have come to live in Panama permanently, a majority from the U.S and Canada. This alone affirms that Panama is definitely one of the best places to travel to and consider as a place for retirement. The country’s real beauty comes not just from one facet of its land but in many different forms. It’s definitely one of the best places to travel to among other countries in the world.